the Millenium Lecture for which was delivered by IRRI Director General Matthew Morell (right) this month. They are joined by Uma Shankar Singh (center), regional coordinator of the STRASA project. CHENNAI, India – Stress-tolerant rice varieties can help make farmers more resilient against the increasingly destructive effects of climate change, said Matthew Morell, director general of the International Rice Research Institute (IRRI). Delivering the Millenium Lecture at the M.S Swaminathan Research Foundation (MSSRF) in Chennai on 10 February, Morell described rice as “the engine of food security,” citing that more than half of the world’s population—or nearly four billion people—eat rice as their daily staple. IRRI’s research activities, conducted in collaboration with national governments, have resulted in high-yielding improved varieties that saved Asia from famines in the 1960s and 70s. 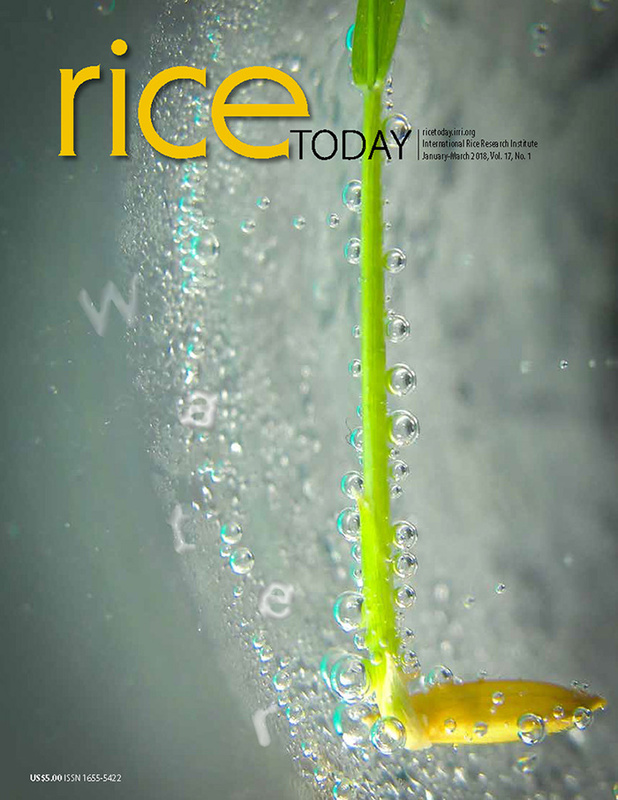 More recently, with the onslaught of climate change, IRRI and its partners have developed high-yielding rice varieties tolerant of environmental stresses such as flooding, drought, and soil salinity. Morell called the "climate change-ready rice varieties," which have been deployed in stress-prone areas of India, as an important part of helping farmers become more resilient. The MSSRF is a nonprofit trust founded by M.S. Swaminathan, World Food Prize awardee in 1987 and former IRRI director general. It serves as a research center on sustainable agriculture and rural development.